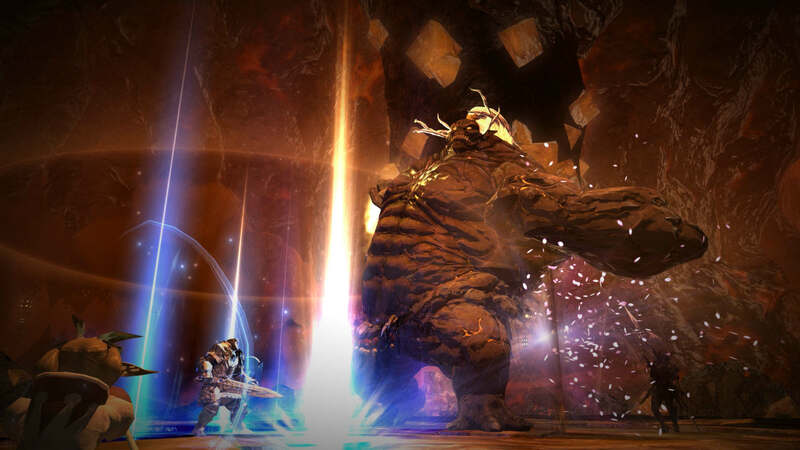 What are Blue Mage spells you can learn in Final Fantasy XIV? 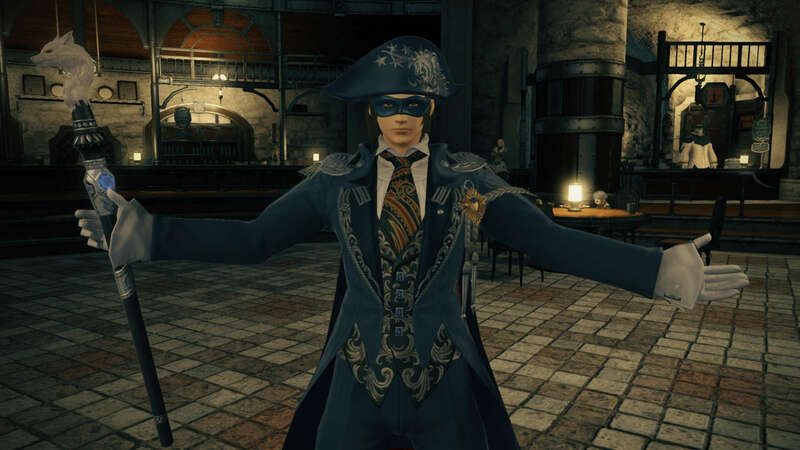 When it comes to the Blue Mage limited job added as part of patch 4.5, A Requiem for Heroes, unlocking new moves works a little differently. 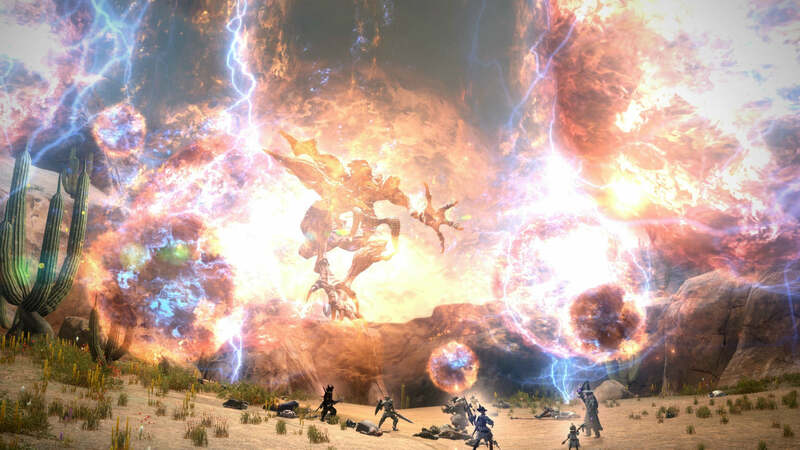 Rather than adding new skills to your arsenal by increasing your level, you get new Blue Mage spells by learning them from monsters by defeating them in battle and using each ability in the form of blue ranged DPS magic. In this sense, the Blue Mage is designed for solo play. With a versatile and plentiful spellbook, it’s a job that’s less suited to party-based gameplay, and you can only play Blue Mage-exclusive content on your lonesome. Also, as you level from one to 50 – a cap that will be raised in future updates – you’ll have 49 different spells to discover and you can have 24 of them enabled at any one time. 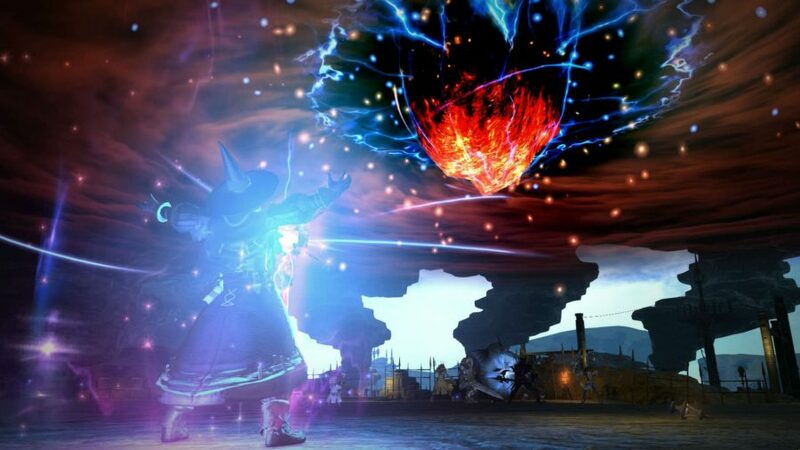 First, however, you’ll need to know how to unlock Blue Mage in Final Fantasy XIV. 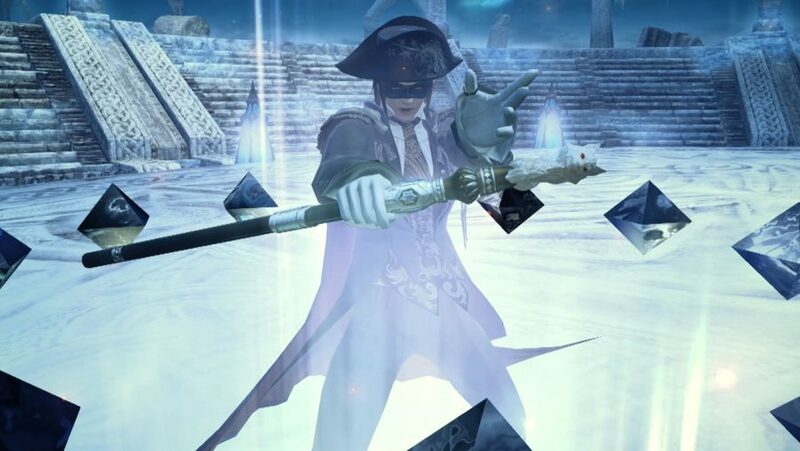 Once you’ve attained the Soul of the Blue Mage Soul Crystal after completing the quest, ‘Out of the Blue’, you’ll be able to get cracking with your monster hunting adventure. 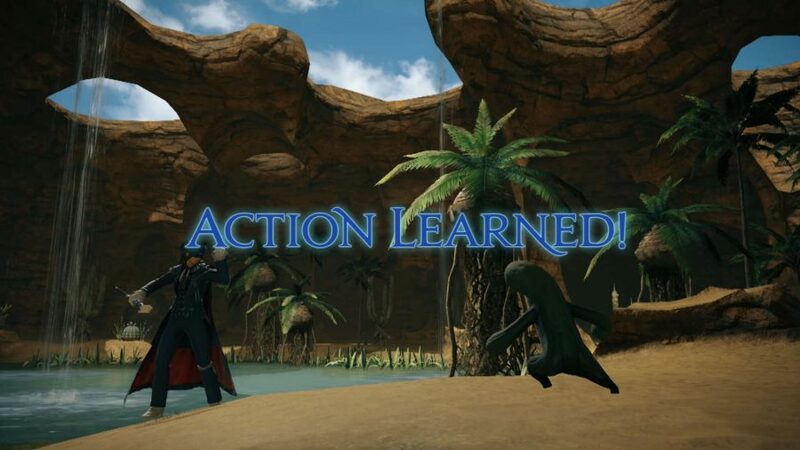 Then, to unlock Blue Mage spells, you’ll need to find the right monster, at the right level, and in the right place. 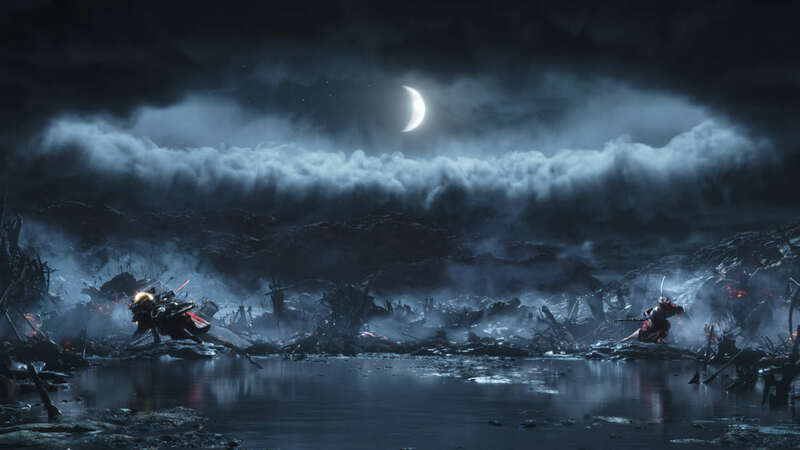 That’s where we come in, so below you’ll find out how to unlock all 49 Blue Mage spells in Final Fantasy XIV. 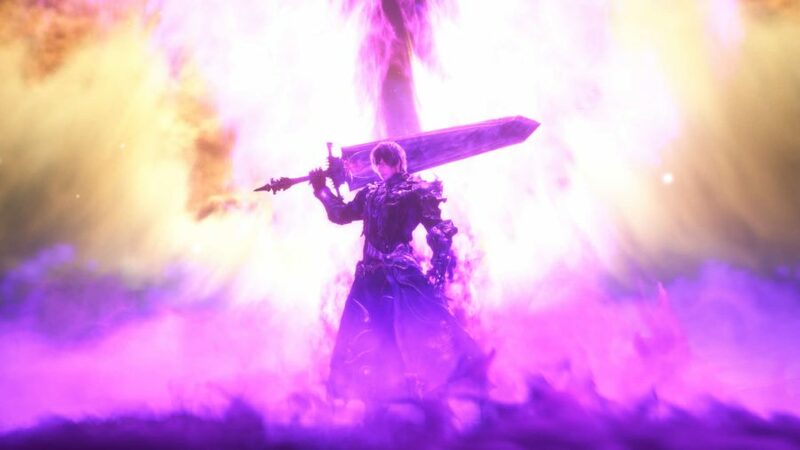 Unlike in your traditional FFXIV jobs, you learn new Blue Mage spells by defeating specific monsters in battle – although others will be given to you after you’ve unlocked a specific number of spells. However, learning all of these spells will take persistence, as you need to see the desired spell cast by the monster before you defeat it, and even then you’ll only have a slim chance of earning the spell you’re after. If you do, they’ll be recorded in the Blue Magic Spellbook under ‘Character’ in the main menu. So, if you like collect-a-thon, single-player experiences, this limited job could be for you. We know the entire spellbook thanks to a leak from Redditor u/ZeroTheBardbarian, and where they can all be found thanks to diligent work from Aleu Lyehga and Atria Ba’anyu, so all credit to them. Without further ado, here’s where and how to unlock all Blue Mage spells in order of difficulty. Note: the levels indicated for each spell relate to the monster, not your job level – you can try to learn these spells in any order. Delivers water damage with a potency of 120. Deals fire damage with a potency of 110 to all nearby enemies at a designated location. Counters enemies with ice damage every time you suffer physical damage. Deals fire damage with a potency of 900 to all nearby enemies while incapacitating self. Increases damage you deal target by 50%. Recast timer is reset if target is KO’d in battle before the effect expires. Deals unaspected damage with a potency of 1,500 while incapacitating self. Deals unaspected damage with a potency of 100 to all nearby enemies. Puts target and all nearby enemies to sleep. Cancels auto-attack upon execution. Increases the potency of the next spell cast by 50%. Restores own HP and the HP of all nearby party members by an amount equal to your current HP. Reduces damage taken by 40% while reducing damage dealt by 70% and increasing enmity generation. Effect ends upon reuse. Deals a fixed 1,000 damage which is shared by all enemies around you. Petrifies all enemies in a cone before you. Chance of successful attack is low. Enemy level must be a multiple of 5. Has no effect on enemies whose level is higher than your own. Blow noxious breath on all enemies in a cone before you, inflicting Slow +20%, Heavy +40%, Blind, and Paralysis. Stuns all enemies in a cone before you. Deals unaspected damage with a potency of 10. Deals ice damage with a potency of 130 to all nearby enemies. Deals lightning damage with a potency of 110 to nearby enemies. Enemies within an 8-yalm radius will be unaffected. Additional effects: 10% chance to inflict Paralysis (nine seconds), potency increased to 310 when enemy afflicted with Deep Freeze, then removes the affliction. Deals lightning damage with a potency of 130 to all enemies in a straight line before you. Increases magic damage taken by all nearby enemies by 30%. This action does not share a recast timer with any other actions. Drops a 4-tonze weight dealing unaspected damage with a potency of 110 to all enemies at a designated location. Deals a 20-yalm knockback to all enemies in a cone before you. Deals lightning damage with a potency of 90 to all nearby enemies. Delivers a jumping attack with a potency of 80 to target and all enemies nearby it. Cannot be executed while bound. Deals water damage with a potency of 90 to all enemies in a cone before you. Deals unaspected damage with a potency of 120 to all enemies in a straight line before you. Deals unaspected damage with a potency of 130 to all enemies in a cone before you. Deals unaspected damage with a potency of 120. Deals fire damage with a potency of 130 to all enemies in a cone before you. Deals damage equal to half target’s current HP. Chance of successful attack is low. Has no effect on enemies whose level is higher than your own. Reduces target’s HP to 1. Chance of successful attack is low. Has no effect on enemies whose level is higher than your own. Deals unaspected damage with a potency of 120 to all enemies in a cone before you. Reduces damage taken by 90% and nullifies most knockback and draw-in effects. Unable to move or take action for the duration of this effect. If used when Waxing Nocturne is active, its effect will transition immediately to Waning Nocturne. The effect of this action cannot be ended manually. Deals fire damage with a potency of 100 to target and all enemies nearby it. Deals wind damage with a potency of 180 to all enemies at a designated location. Shares a recast timer with Eruption. Deals fire damage with a potency of 220 to all enemies at a designated location. Shares a recast timer with Feather Rain. Deals earth damage to all enemies in a cone before you with a potency of 310 for the first enemy, 30% less for the second, 60% less for the third, and 70% less for all remaining enemies. Shares a recast timer with Shock Strike. 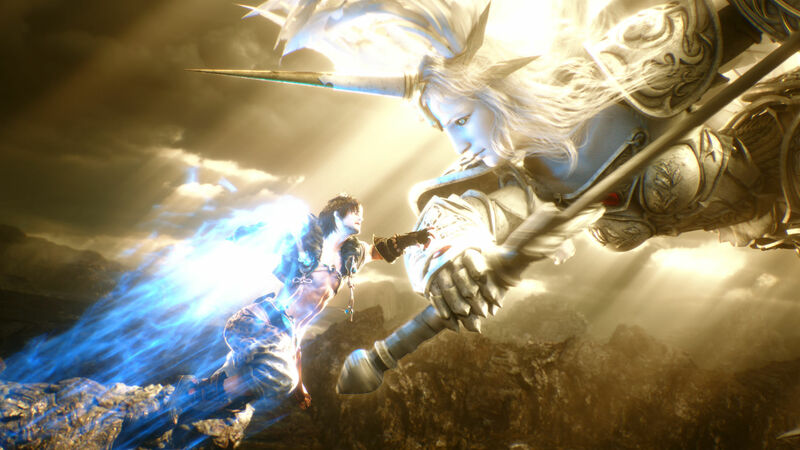 Deals lightning damage to target and all enemies nearby it with a potency of 310 for the first enemy, 30% less for the second, 60% less for the third, and 70% less for all remaining enemies. Shares a recast timer with Mountain Buster. Deals ice damage to all enemies in a wide arc to your fore and flanks with a potency of 290 for the first enemy, 15% less for the second, and 30% less for all remaining enemies. Shares a recast timer with Veil of the Whorl. Counters enemies with water damage every time you suffer damage. Shares a recast timer with Glass Dance. Grants the effect of Waxing Nocturne, increasing damage dealt by 50% and movement speed by 30%. Inflicts Doom on target. When effect expires, the target will be KO’d. Chance of successful attack is low. Has no effect on enemies whose level is higher than your own. And there you are, all 49 Blue Mage spells and how to get them. The first few abilities are pretty simple to get, but you’re going to need some skills to get them from the monsters who level in the 50s. 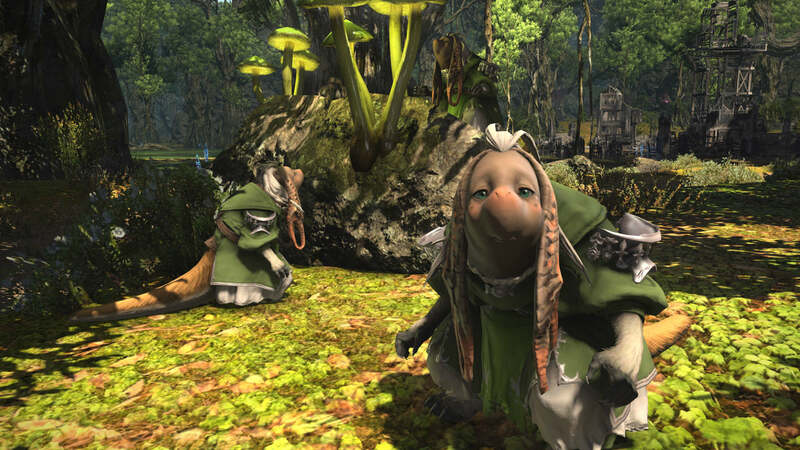 So, if you’re struggling with the game, check out our Final Fantasy XIV new player guide you’ll be rolling EX raids in no time. Maybe. Anyway, if you’ll excuse us, we’ve got some wizarding practice to do.